I got a Phalaenopsis orchid at IKEA last September, and have been quite amazed by the results. The first set of flowers were about 3/4 bloomed when I bought the plant. 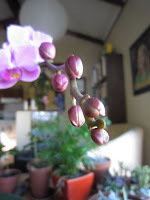 The remaining buds had no difficulty opening, and the flowers lasted something like 4 or 5 months. Eventually of course, the flowers started dying and falling off. When this happened, I started periodically giving the orchid food. 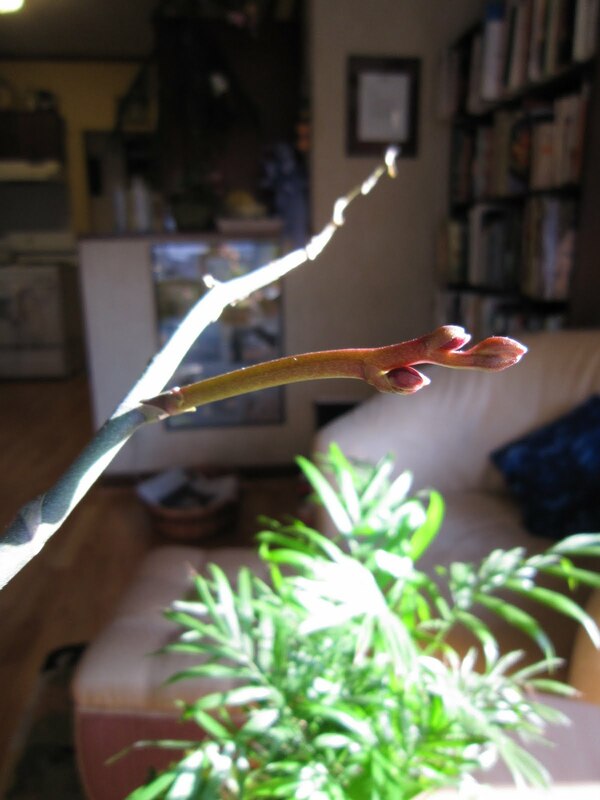 Then, as the stem started drying up, a new budding began. This budding successfully grew into a new branch of blooms without the original stem dying away more than about four inches. With only a month or so between the last of the original blooms falling off and the new buds appearing, the plant has effectively had flowers or buds for 8 of the past 9 months. And, of course, the plant is pretty cheap if you buy it at IKEA. If the new flowers last as long as the first set, the plant will have gone pretty much an entire year in constant bloom. The one downside is that I still cannot re-pot it, since that could hurt the flowers. Perhaps I never will get the chance, but that would be cool too. And of course, for more information on how to grow plants, ask this guy. A note on how I have been taking care of the plant: It sits in moss of some sort (whatever IKEA packaged it in originally), and the entire pot sits on top of some shells (rocks would be fine) inside of a plant pot dish. 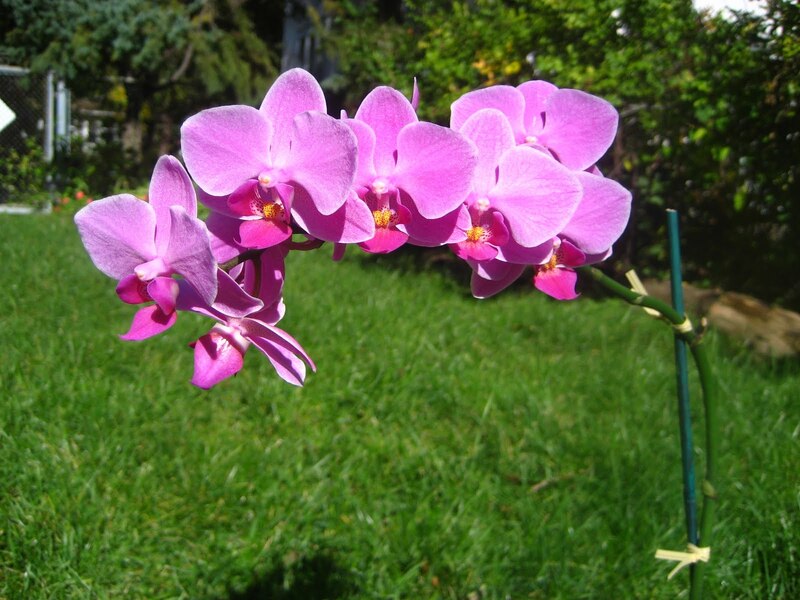 I fill the dish with water, but not so high that it touches the orchid pot. 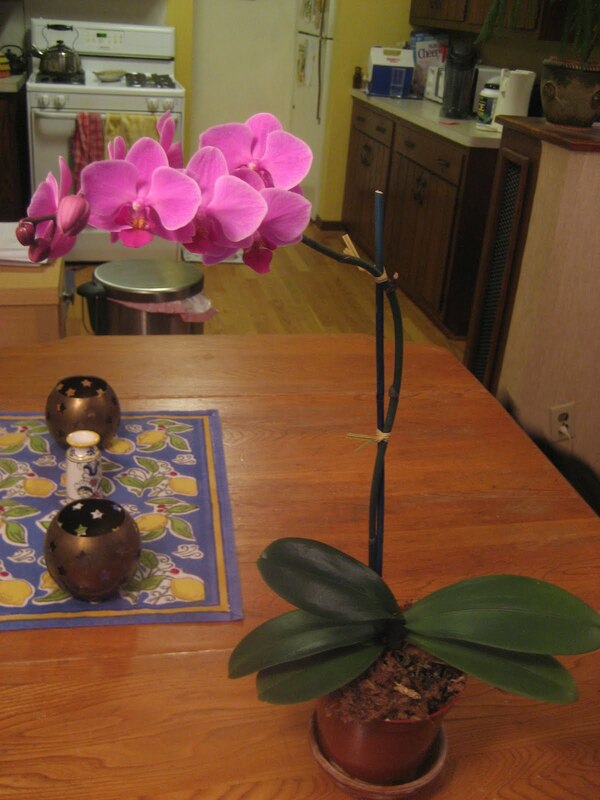 This way the orchid is sitting above water, to keep it humid, but not sitting IN water, which would make it rot. I water the orchid whenever the moss and roots seem dry, which is roughly every two weeks. I water it by holding it over the sink and essentially running water through it. The water soaks the roots and moss, then runs through the pot. 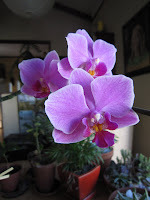 I make sure all the extra water is gone before returning the pot to the dish, again so that the orchid is not sitting in water. Orchid food is pretty cheap and you only need a very tiny amount to keep them going (and I don't use it every time I water anyways; in fact I didn't use it at all the first 5 months or so that I had the plant.